New color - Cyber Stripe Silver Fox - in the Scoop Back Tank. I also saw Bumble Berry Scoop Backs in my local store. I liked this tank a lot. Energy Bras in Heat Wave and Iridescent Multi Prints. New burnout fabric shirts called Go Om Short Sleeve. The In The Flow Tanks in Regal Plum, Fatigue, and Butter Pink. New tank style called the Run for Gold Tank. It looks Athleta-ish to me. Run for Days Tank in Naked. Exquisite Tank. This is different than the version we saw a few months ago. Tracker Shorts in Breezy Regal Plum and Pigment Wave Multi. Both this prints are in Canadian stores now. 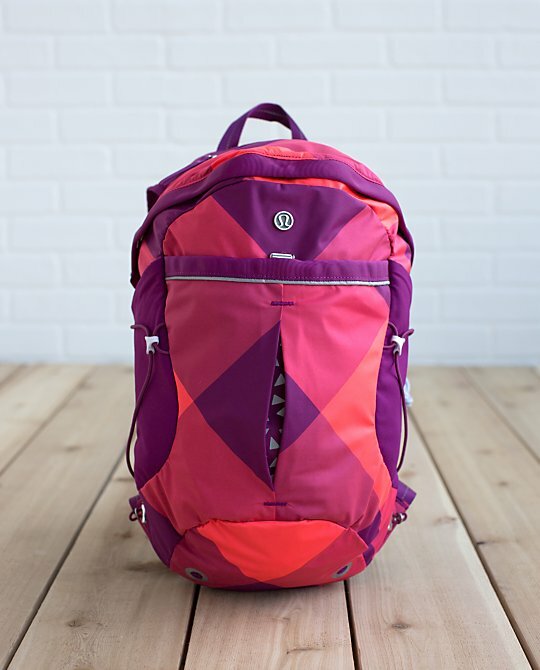 Very cute Run All Day Backpack in Electric Coral and Regal Plum. 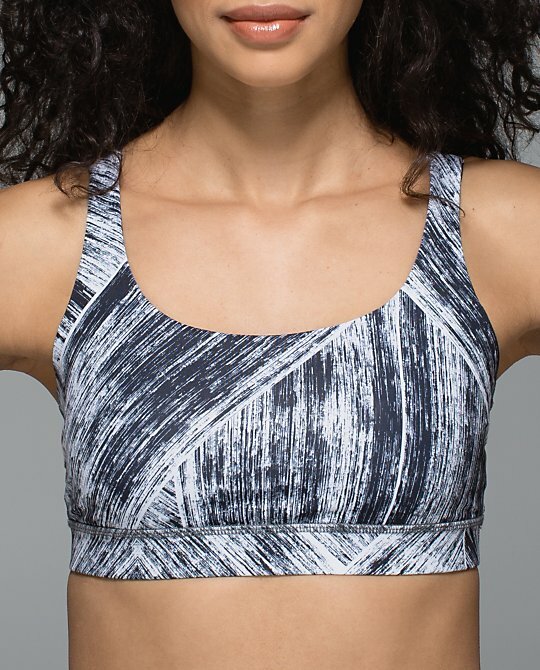 The straps on the Energy Bra in Heat Wave are different. No!! Love that exquisite tank. Looks looser in the stomach than the previous version which I love! Frustrated by the tracker II shorst in the multi print. I picked between two pairs at my local store and chose against the one with a dark patch around the crotch only to realize the pair I brought home has a huge purple area covering half of the back which looks super unbalanced as the rest of the short is largely white based. You definitely have to cherry pick but even then it is going to be hard to find one that is just right. Excited about the energy bra prints..It's my favorite bra by far!! As for the scoop back tank, I too really like it a have purchased and worn the black..looking forward to some fin prints and colors in this tank!! I hope we get this new exquisite tank!! 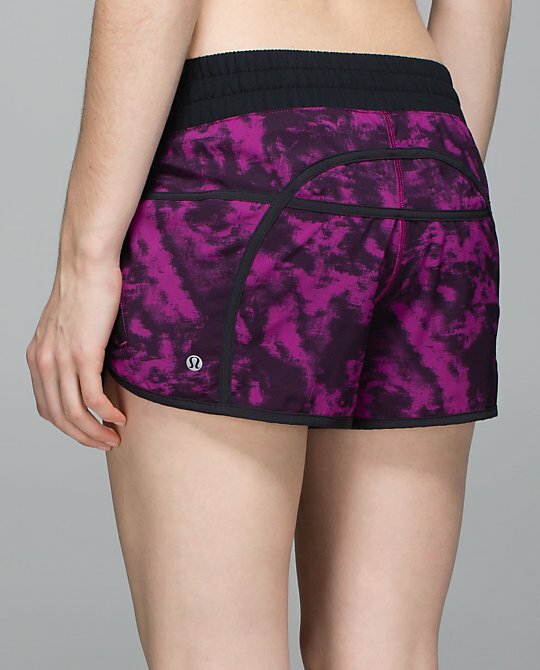 I got the speed shorts and the alll sport bra in theBreezy Regal Plum and Pigment Wave Multi. The inside of the bra is purple. I got the last of the speed shorts in that pattern in size 4 at the Union Square NYC store. Love that print. 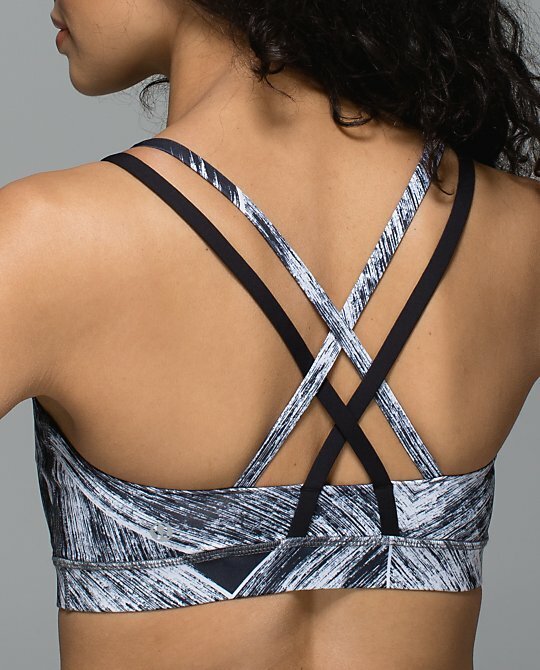 @ lulu - I am waiting for a compelling color or print in the Scoop Back. The cyber stripe is pretty nice, though.